Our original crusty bread is one of our most popular posts, so we figured gf and me’s readers might be interested in another artisan bread recipe. This one uses our new favorite flour – tapioca flour – and has a wonderful flavour and good air pockets. Like our original crusty bread, it too has a soft chewy crumb. For more on tapioca flour see A Taste of Brazil’s post “Tapioca Flour: What Is It Really?” For a raisin bread version of our original crusty bread, see Rural Route Lupiac’s blog. 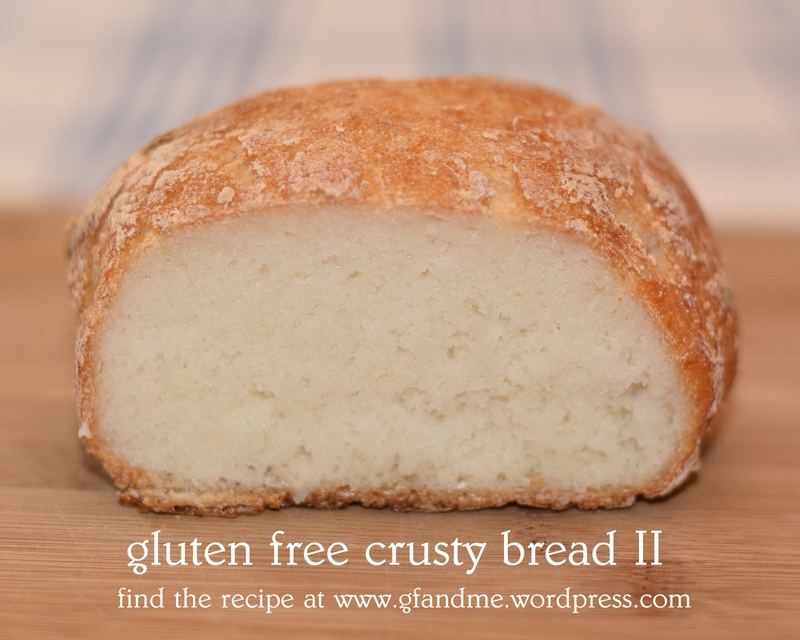 Also see her post on her copycat recipe for Cup4Cup all-purpose gf flour. We haven’t had a chance to try it out yet, but it looks fantastic!